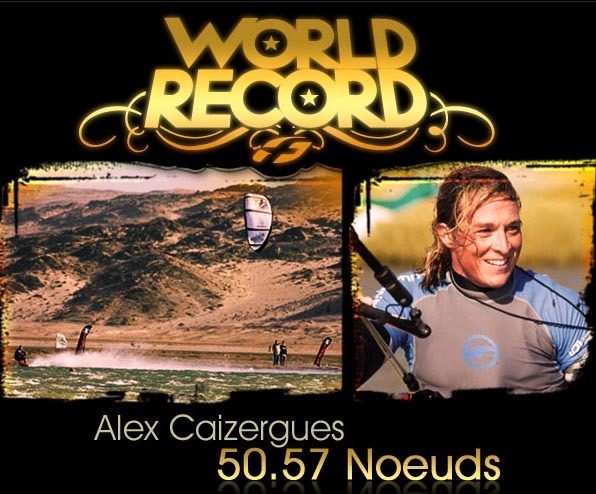 After one mounth of strong competition on the Luderitz Speed Challenge in Namibia, Alex Caizergues keeps the title and set an historic all classes outright world speed sailing record ! Finally and for the 1st time a kite is officially the fastest sailcraft in the world. And for the second year running F-one are indisputably the fastest kite. Last year at 47.92 knots ! and now the coveted outright record for 2008 with 50.57 knots ! 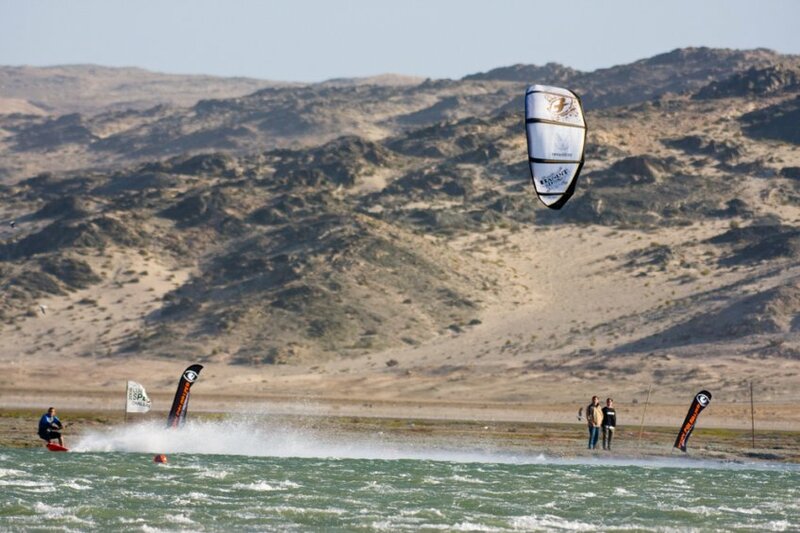 the Lüderitz Speed Challenge saw Sebastien Cattelan become the first person to sail faster than 50 knots (93kph) a world record he held for only 24 hours before Frenchman Alex Caizergues snatched it away from him, with not only one, but three runs over 50 knots, reaching a top speed of 50.57 knots (93.65kph). Over the last 3 weeks of blistering runs and in a fantastic battle, Alex retained the speed record ! Alex kept his cool, and was backed by the whole F-one team.